I'm all in for this fight against Multiple Sclerosis!! I will run farther to serve others through local races and fundraising. I am beyond excited to be an Ambassador for MS Run the US. I will be freezin’ for a reason this winter and running the Chilly Willy race series to raise funds for MS Run the US. But don’t worry…I don’t plan to stop there. I’m only getting started. Help me in my fight!! Please consider donating any amount to help me reach my goal and to be a MS game changer! You don’t know me. Or maybe you do. Maybe you are me. Maybe you’ve walked a mile in my shoes. 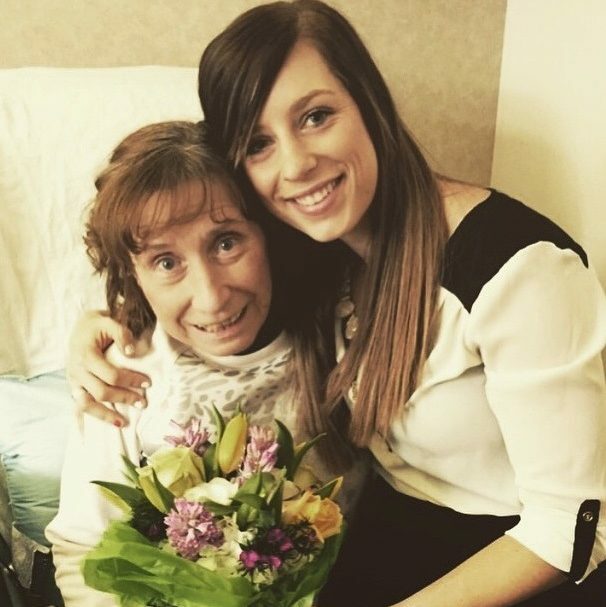 I grew up with my mom having Multiple Sclerosis. I watched the disease slowly take abilities away from her. But I never knew anything different. Whether we wanted it to be or not, MS was apart of our family. My mom is Jill Kumlien; the inspiration behind the epic solo run across America that MS Run the US founder Ashley Schneider completed in 2010. I never realized how ugly of a disease Multiple Sclerosis was until much later in life. My mom always had a smile on her face no matter what that disease was putting her through. It never defined her. Her and my dad taught us we would adopt this lifestyle that comes with having this disease together as a family. Those experiences helped shape me into the woman I am today. Unfortunately, in January 2017 my mom lost her battle to Multiple Sclerosis and was called home to the Lord. To say that has changed my life, my views, and my passions is an understatement. I always thought of her as being invincible. She had fought the disease for so long, I never imagined she would pass away at just shy of 63 years old. This sounds maybe naïve, but I had heard stories of other peoples parents and loved ones passing away to this disease (and others)…but I never imagined it would happen to me. That sort of thing doesn’t happen to me, until it does. Until you and your family become that story. I ran 132 miles in 5 days with this organization in 2013 as a relay runner for my mom. For her honor and fight. Now I am an ambassador for this organization not only for her memory, but for every single MS warrior and their families who are going through the fight. I have new fire within my bones to fight for a cure. I believe we will one day see a cure for Multiple Sclerosis. And as long as there’s air in these lungs of mine I won’t stop fighting.